Selena is retired polo pony we rescued from auction and she is now one of our treasured lesson horses. She teaches many of our younger students on the flat and is fantastic on the trails. 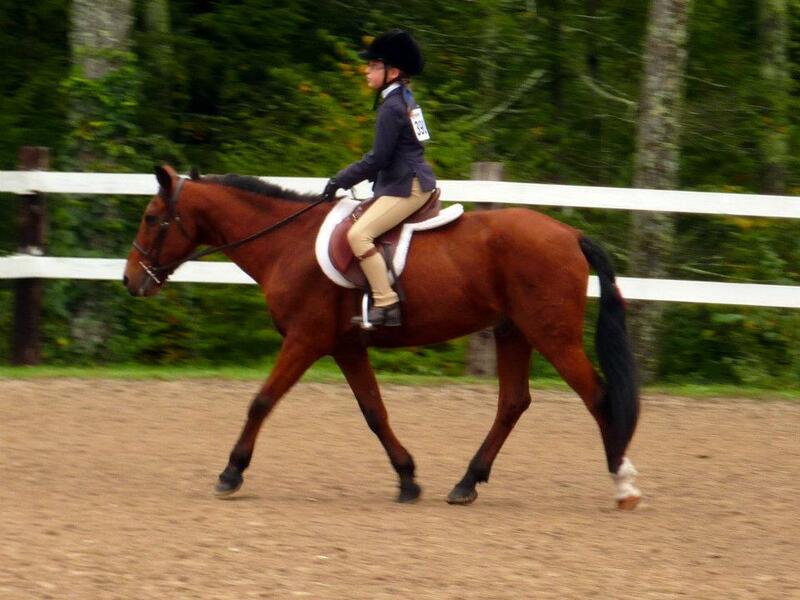 She is a great size for smaller students to work with on the ground and under saddle. Barney is an American Warmblood gelding we rescued from auction in 2012. He is used for our intermediate and advanced students. He loves to event and also be out on the trails. He has wonderful ground manners and is a favorite of our campers to bathe and paint during camp weeks. Barney lives with Violet and they are great friends. 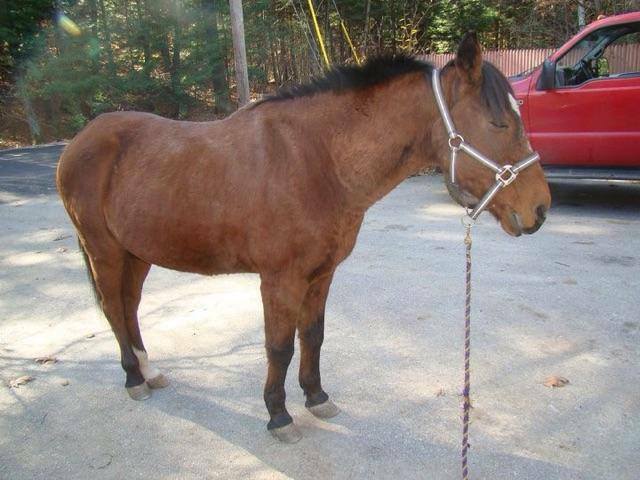 Woody, a 16 year old Quarter Horse, was an owner surrender and arrived at Patch Wood in 2012 . He was quickly put to work as a lesson horse. Gentle and friendly, he loved all the kids and his pasture mates. He was always careful with his riders, but was happy to choose his own path if the young ones forgot to steer. Eventually it was clear he wanted a home of his very own. Karen, a student, really liked him and had a farm that needed a horse. Since February of 2012 Woody has been a farm horse. While he spends most days grazing in the field with his sidekick Nightshade, he has also proven his talent herding sheep. It seems he must have had some cutting training in a past life so he and his new Dad ride around the farm occasionally round up escaped sheep. When he isn’t laying in the sun or chasing sheep, he and Karen take trail rides and occasionally he indulges her in that silly English riding. He is always at the gate to greet visitors and has a lifelong job as a well-loved and spoiled herding horse and Karen’s best friend. I leased Dahli through Patch Wood Farm to play beginner polo on. Dahli knew her job better than I did, and taught me so much along the way. She often out performed younger and more agile horses. I find that when one is learning this sport, it is always best to find a steady steed, and I absolutely did in Dahli. She grew my confidence by leaps and bounds and was advanced enough to let me grow as well. She was a fantastic horse who I will never forget! I hope she is enjoying her retirement and that she knows how much I appreciated her patience and care for me on the field. She was pulled from Camelot Auction in New Jersey.